When Ray first became a homeowner, he was concerned about preventing burglaries in his new house. That’s why he went to the trouble of getting a professional home security system, complete with monitoring. He figured the $30 monthly bill was a small price to pay to keep his family safe. Then, last summer, a worker showed up at his door wearing the uniform of his home security company. She said she needed to make some upgrades to his system. She removed his old alarms, installed new ones, and gave him a new contract to sign. The next month, to Ray’s shock, he got not one but two bills for his home security system – from two different companies. When he called his old company to find out what was up, they said they’d never sent the worker who showed up at his door. She was from a different company, and she got him signed up for their service and threw out his old equipment. Ray is now stuck with two contracts – and one system that isn’t even as good as what he had before. Sadly, home security scams like this are all too common. Companies often go door-to-door pitching security systems that aren’t really worth their cost. They use high-pressure tactics, fast talk, and outright trickery to sell you inferior equipment. Here’s what you need to know to spot scams and protect yourself. In many cases, the warning signs of a home security scam are the same as any other scam. The scammers will try to pressure you, scare you, or tempt you with an “unbeatable deal.” Here are a few warning signs that the security salespeople at your door aren’t on the up-and-up. This is a technique common to many types of scams. The crooks tell you this is a special, limited-time offer, and you have to act now. For example, they say the deal is only good today, or they only have one system left at this price. They’re hoping this will pressure you into signing something without taking the time to look carefully at the deal. One-time-only offers like this are almost never real. As a rule, real companies don’t change their prices on a day-to-day basis. Sometimes there are closeout sales, but these are usually on old products that are out of date. If a security system won’t be available tomorrow, it’s probably a system you don’t want in your house. One way companies pressure you to buy is to offer what looks like an unbelievable deal. They’ll tell you that they can install a complete alarm system for just $99 – or even one that’s completely free. However, these “free” products always come with strings attached. To get them, you usually have to sign a contract that locks you into paying a high monthly monitoring fee for three to five years. Add all those fees together, and the long-term cost of the system no longer looks like much of a deal. On top of that, the equipment itself is often inferior. In fact, sometimes it doesn’t work at all. The company puts up cameras or alarms just for show, but burglars can simply yank them right out of the wall and nothing happens. If greed doesn’t work, companies can try to pressure you with fear. For instance, they make up a story about a rash of burglaries in your neighborhood. Sometimes, to make it seem more immediate, they tell you the burglars hit a house just down the street from you. This makes it seem like your house could be next, and you need protection right away. To ramp up the pressure, salespeople often try to get inside your home. For instance, they trick you into letting them in by saying they need to see the whole house so they can give you a quote. Then, once they’re inside, they refuse to leave until you sign a contract. If you already have a security system, that doesn’t mean you won’t be targeted by scammers. In fact, some sneaky sales agents specifically look for people who have signs on their property from other security companies. Then they knock on those doors and say the security company sent them. They may say they need to inspect the existing system, do some maintenance, or upgrade the equipment. Instead, once they get in, they take out your old system and install a completely new one. Then they get you to sign a new contract with their company, usually with a high monthly fee. Of course, signing this new contract doesn’t cancel your old one. You’ll still get a bill for service from your old company, even though you no longer have their system in place. Worse still, the new company usually throws away your old equipment – which might not even belong to you. Not only are you stuck with two contracts, you now owe your old company money for the equipment that you’ve lost. The truth is, a legitimate security company will never send someone to your door unannounced. If they really need to do maintenance or upgrades, they’ll call you first and make an appointment. If the workers show up without warning, you can assume they’re not legit. Sometimes, instead of saying they’re from your security company, the workers at your door claim that your old company is going out of business. They say their firm has taken over all the old company’s accounts, and you need to sign a new contract with them. If you go along with this, the result is the same as the other scam. You end up with two contracts with different companies and only one system – one that may or may not work. Once again, this isn’t the way real companies do businesses. If your security company has really sold all its accounts, it will normally call or send you a letter to tell you about the change. It won’t just send someone from another company to your door. Pretty much all security scams work by trying to force you into making a hasty decision. The best way to avoid them is to refuse to be pressured. Insist on taking the time to check out the deal on your own – without the salesperson looking over your shoulder. In most cases, a little work is all it takes to show a home security “deal” is nothing but a scam. Here are a few specific tips to keep in mind. No matter what the salespeople tell you, don’t sign anything. Instead, tell them you want to think about it and ask them to come back later. If the company is legitimate, it will be willing to make that extra effort to get your business. If the salesperson says they’re from your existing security company, or from another company that’s taking over its business, don’t take their word for it. Instead, call up the company to confirm the story. Chances are, you’ll find out that there isn’t a word of truth in it. In most states, contractors who install home security systems must be licensed. If you want to make sure you’re dealing with a real contractor, ask to see their license. If they say they don’t have it with them, they should at least be able to give you the contractor’s name, the number of their license, and the state that issued it. If they can’t or won’t provide this information, you’re probably dealing with a phony. However, even if they show you a license, don’t assume it’s real. Instead, jot down the license number and state so you can check up on it. Even if you live in a state that doesn’t require licenses, you can still check up on the company to make sure it’s legit. Ask for the contractor’s name and the company’s mailing address and phone number, as well as a website if they have one. If they won’t give you this basic information, show them the door. Whatever you do, don’t let the salespeople inside your house. If you do, you could have trouble getting them to leave. It’s much easier – and safer – to get rid of them while they’re on the doorstep. If they say they need to come in so they can do maintenance or make upgrades to your system, tell them to have the company call you and set up an appointment. Remember, there’s nothing rude about saying no to a salesperson if you’re not interested. If they refuse to go away even after you’ve asked them to leave, call the police. If a scammer manages to trick you into signing a contract, you still have a chance to get out of it. The U.S Federal Trade Commission (FTC) has a “cooling off rule” that gives you the legal right to cancel any contract within three days if it was signed in your home, or in any location that isn’t the seller’s permanent place of business. You don’t have to give a reason for changing your mind, and you are allowed to back out even if the equipment has already been installed. 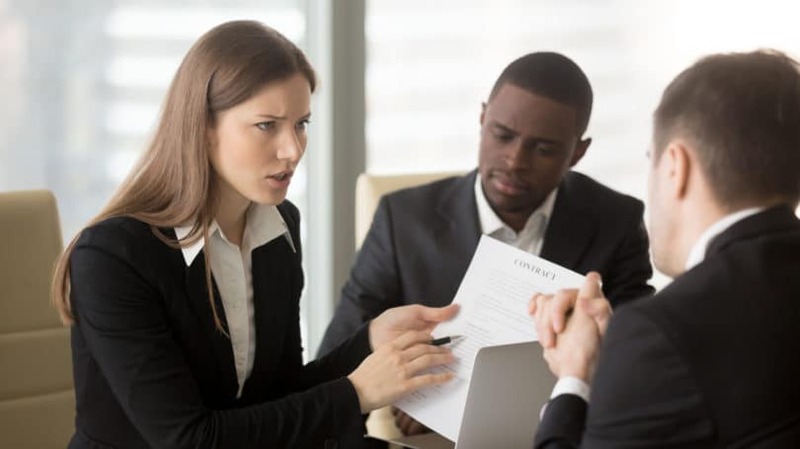 Under the law, the salesperson must notify you about this right and include two copies of a cancellation form with your contract – one to keep and one to send back. If the salesperson didn’t provide these forms, contact your state Attorney General’s office for help. You can also file a complaint about the company through the FTC Complaint Assistant site. If you’re interested in installing a home security system, the best way to find one is to shop for it yourself. That way, you can take the time to do some research and choose a company you can trust. Here’s how to go about finding the best deal on a home security system. To find a reliable home security company, ask around. Talk to friends, family members, and coworkers who have home security systems and ask if they like them. You can also use review sites like Angie’s List and Yelp to find legitimate companies in your area and see how their customers feel about them, or check out detailed reviews online. Was the equipment installed when the company said it would be? Did the company explain the system to everyone living in the house? Have you had any problems with the system? If so, did the company deal with them promptly? Have you ever had a break-in since the system was installed? If so, were the police contacted immediately? Read Reviews. Start by entering the company’s name into a search engine. This should help you find reviews of the company so you can get a quick overview of other people’s experiences. Check for Complaints. To make sure the company is on the up-and-up, search its name on the site of the Better Business Bureau. This is a quick way to make sure the company is legit and find out about any complaints filed against it. You can also look for complaints through your state Attorney General’s office or a local consumer protection agency. Check Licenses. Check the National Association of State Contractors Licensing Agencies to find the agency that licenses contractors in your state. Then contact that agency to make sure the contractor’s license is current and in good standing. Ask for References. Once you have your list narrowed down to a few specific companies, ask them if they can provide any references from their current clients. Call up these clients and ask how satisfied they are with their systems. Ask them the same questions you asked people when searching for companies in Step 1. By now, you should have a “short list” of home security firms worth checking out. Experts recommend getting written estimates from at least three companies. That way, you can get a good sense of what a security system should include and what a reasonable price is. When a company comes to give you a quote, it should check out the whole house. A reputable company won’t try to sell you a system without getting a good sense of your security needs and the layout of your home. Who will do the installation and monitor the system? Does the seller do this work or contract it out to a third party? What is the period of the contract? Are you locked into it for a year, or perhaps longer? Are there penalties for ending the contract early? What happens if you move before the contract runs out? What is the cost of monitoring, and how often will you be billed? What happens if the alarm goes off? Does the company call you first, or the police? How long after the alarm sounds will you be notified? What happens if the company can’t reach you when the alarm goes off? Will it reset the alarm? Will it call the police or try an alternate number? What happens if the power goes out? Does the system have a battery backup? Does the system come with a warranty? If so, what does it cover and for how long? Is the warranty from your company or the one that manufactured the equipment? Who is responsible for repairing the system and keeping it up to date? Does the system include any extra services like smoke and fire detection, remote control, video surveillance, email notifications, or a smartphone app? After you get your three estimates, compare them point for point. Look at the installation cost, the monthly fee, and what you get for your money. Consider which system is most convenient to use as well. If any of the systems involve your local police or fire department, contact that department yourself to find out whether your new system would need to be registered. Also, ask whether there is any penalty for false alarms. Once you’ve settled on a company, look over the contract carefully before you sign it. Make sure it includes everything that was promised to you in the estimate. The contract should include the seller’s name and address, the date, and all information about the system and its costs. It should specify the cost of installation, the monthly or quarterly monitoring fee, and what period you’re agreeing to pay those costs for. 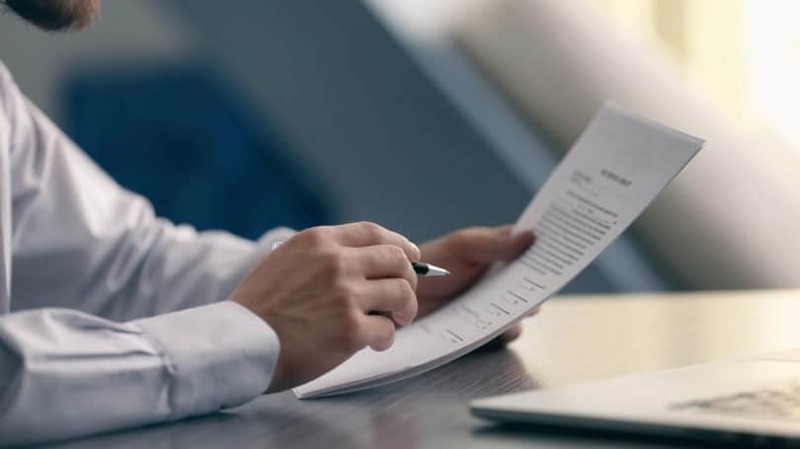 The seller should also provide an owner’s manual, a written warranty, a copy of the contract for you to keep, and the two cancellation forms required by law. As a final detail, ask to inspect the actual equipment before you sign the contract. That way you can make sure it hasn’t been opened or tampered with in any way. Home security scams tend to play on your fears. The salespeople show up at your door with scary stories about burglaries in your neighborhood and warnings that you could be next. They try to make it sound like signing a contract with them right now is your only chance of avoiding a break-in. But, in reality, there are much better ways to protect your home from burglary. 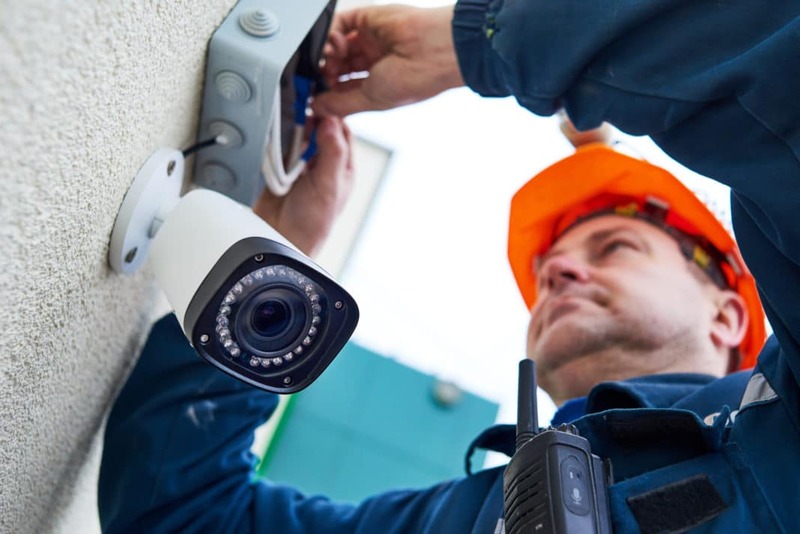 There are plenty of legitimate companies that can install a security system for you, and there are also good DIY systems you can install yourself. With a little research, you can easily find a system that fits your needs at a price that fits your budget. That’s a much smarter move than being pressured into a hasty decision you’ll only regret later.